Those who like to follow Apple’s keynotes – and let’s be fair, we all do – may well remember the company showing off iOS 5 earlier this year, and mentioning a new panorama mode that would be coming to the iPhone, iPad and iPod touch with the impending update. We sure do. The thing is, iOS 5 has been and gone and the promised panorama mode is nowhere to be seen, with no explanation coming from the ever tight-lipped Apple campus. Why pull a feature that is becoming the norm on the handsets of the competition? Luckily, one developer did a little digging around inside the camera app and discovered that editing a particular .plist file made the missing panorama mode put in an appearance. Cue much file editing across the internet, with the multipart setup requiring some tweaking that many may not be confortable with. Now though, things have been made a little easier, thanks to a new tweak made available via Cydia, called Firebreak. Now, enabling the camera’s panorama mode is as simple as downloading any other tweak – no file editing required! 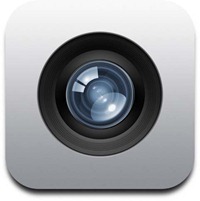 Requires Gyroscope capable device, iPhone 4, or newer, or iPad 2. 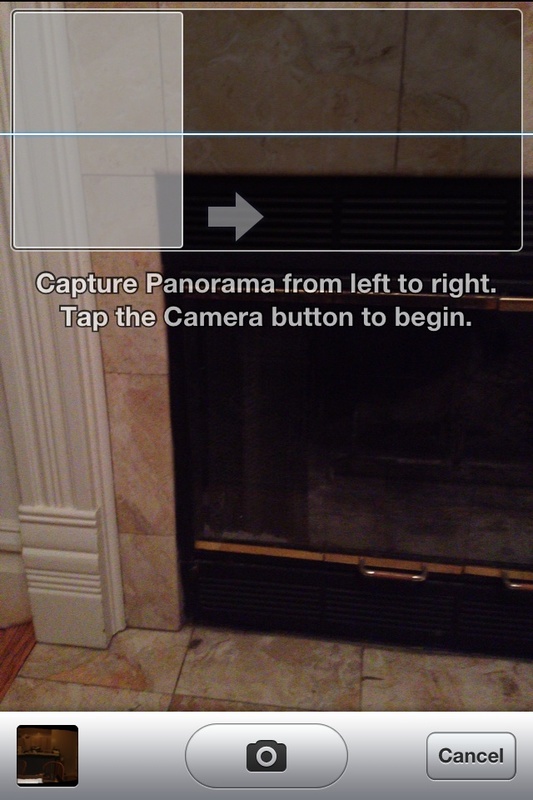 Enable built-in panoramas on iOS 5 Camera app. No icons added to the homescreen. 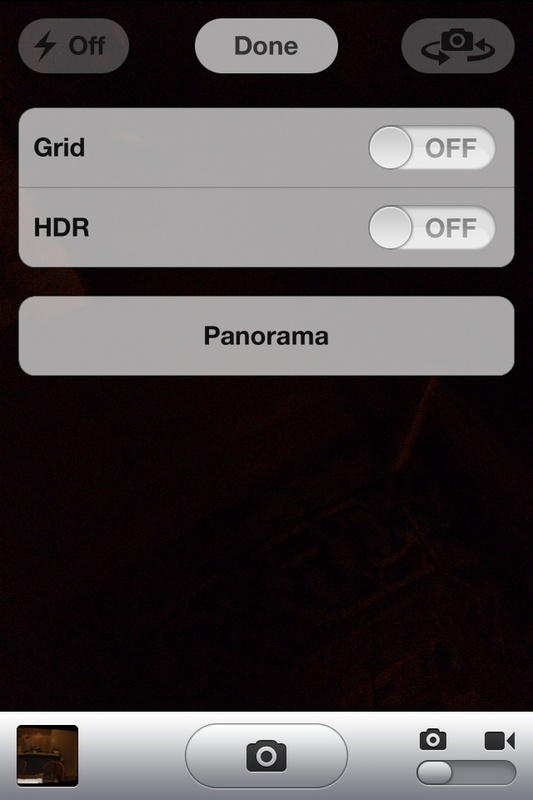 The panorama button is added to the Options menu in the Camera app. Once downloaded and installed for free via the jailbreak app store, Firebreak does all the .plist editing for you, enabling that mythical panorama mode in a way that most will find trivial. Obviously you will need to have a jailbroken iDevice in order to take advantage of this tweak, but that’s something of a given at this point. Apple is still keeping Mum on when this will find its way into iOS-proper, and with iOS 5.0.1 already with beta testers we can’t see it being made available then. Why is Apple holding back? We’re not entirely sure, but as always, someone in Cupertino will have a reason. But that doesn’t mean it’s a good one! For jailbreaking iOS 5 tethered using Redsn0w, you can follow our complete step by step guide posted here, or here if you want to use Sn0wbreeze on Windows. Since jailbreak on iOS 5 is currently limited to tethered boot only, you can install ‘SemiTether’ patch (instructions here) from Cydia to make your jailbreak semi-tethered on iOS 5. For those of you on iOS 5.0.1 can follow our instructions posted here for semi-tethered jailbreak using Redsn0w and SemiTether. Keep your eyes peeled on RedmondPie.com and we’ll let you know as soon as an untethered jailbreak becomes available!